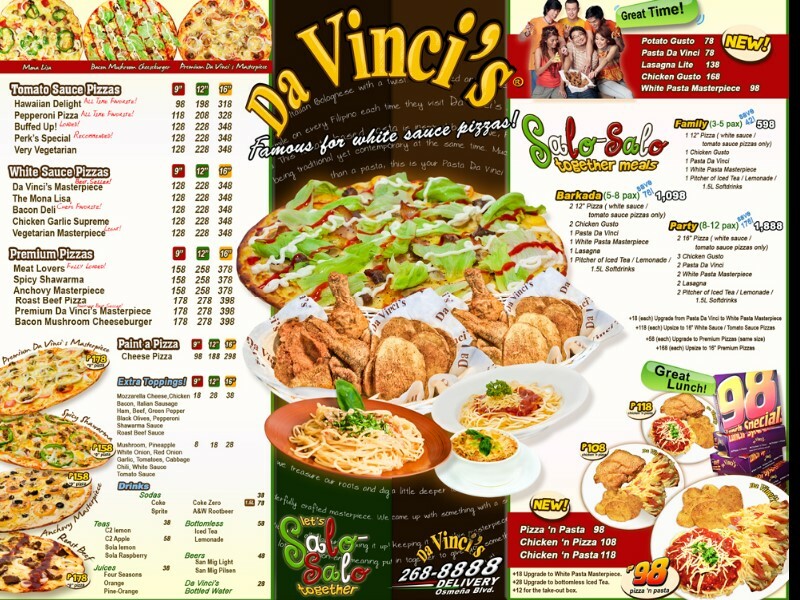 Salo-salo together with your family and friends at Da Vinci’s Pizza -offering less prices at great taste pizza of your choice of thin crust pizza with a luscious white sauce. Where can you find this? Only at Da Vinci’s Pizza.